Access to and use of flixmain.com Ltd’s fully owned subsidiary thetickboxtvreview.com (the “Website”) is provided by Tickbox TV™ on the following terms. Throughout this terms of service, Tickbox TV may be referred to as “we”, “us”, or “our” and you, the user of the website, may be referred to as “you” or “your”. You may not use or register for this site if you are under 18. In addition. If you do not agree to be bound by all of the following terms please do not access, use and/or download materials to the website. Tickbox TV™ may change these terms from time to time and so you should check these terms regularly. Your continued use of the website will be deemed acceptance of the updated or amended terms. If you do not agree to the changes, you should cease using this website. Prices for our products are subject to change without notice. We reserve the right at any time to modify or discontinue the service (or any part or content thereof) without notice at any time. We shall not be liable to you or to any third-party for any modification, price change, suspension or discontinuance of the service. You may be subject to transaction fees from your bank if the merchant account used is based in a country other than the country you are in, so be aware of the fees and that Tickbox TV™ has no control of said fees and charges, and these fees may be refundable. Tickbox TV™ does not warrant that any of the software used with the service will be compatible with other third party software. 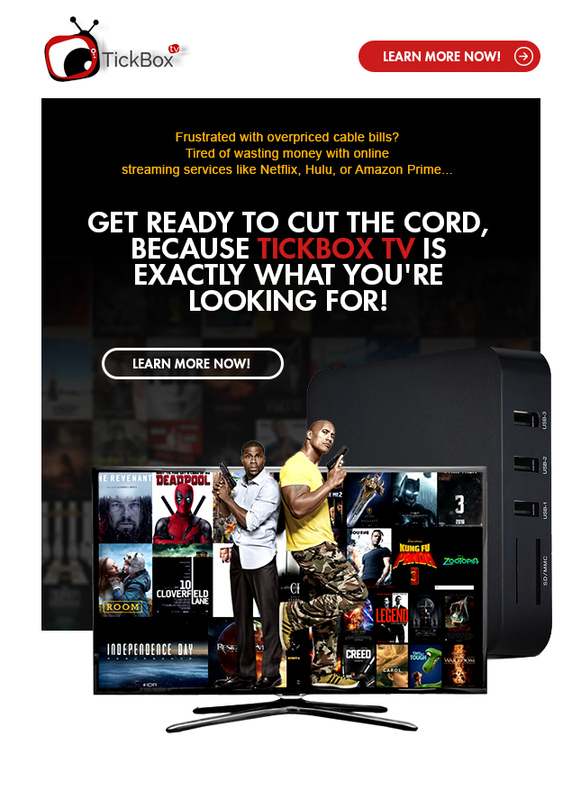 Tickbox TV™ does not warrant that the use of this same service and the related software will not damage or disrupt other software or hardware.Tickbox TV™ requires an active internet connection, that you must provide. Tickbox TV™ hardware is provided as is, pursuant to these terms of service and the terms location at tickboxTV.com, and solely for the purpose of viewing content online on Tickbox TV™ via tickboxTV.com. In no case shall Tickbox TV™ or Tickbox TV™, our directors, officers, employees, affiliates, agents, contractors, interns, suppliers, service providers or licensors be liable for any injury, loss, claim, or any direct, indirect, incidental, punitive, special, or consequential damages of any kind, including, without limitation lost profits, lost revenue, lost savings, loss of data, replacement costs, or any similar damages, whether based in contract, tort (including negligence), strict liability or otherwise, arising from your use of any application installed on any of our products. You agree by making a purchase that you will not use any of our products to do anything illegal, such as but not limited to downloading copyrighted content and streaming copyrighted content. Tickbox TV™ reserves the right to test our service, including, but not limited to, our website, content availability, and delivery without notice. By submitting ideas, suggestions, documents, and/or proposals (“Contributions”) to the services through its suggestion or feedback webpages, you acknowledge and agree that: (a) your Contributions do not contain confidential or proprietary information; (b) Tickbox TV™ is not under any obligation of confidentiality, express or implied, with respect to the Contributions; (c) Tickbox TV™ shall be entitled to use or disclose (or choose not to use or disclose) such Contributions for any purpose, in any way, in any media worldwide; (d) Tickbox TV™ may have something similar to the contributions already under consideration or in development; (e) your contributions automatically become the property of Tickbox TV™ without any obligation of Tickbox TV™ to you; and (f) you are not entitled to any compensation or reimbursement of any kind from Tickbox TV™ under any circumstances. You agree to indemnify and hold Tickbox TV™ and its subsidiaries, affiliates, officers, agents, employees, partners and licensors harmless from any claim or demand, including reasonable attorneys’ fees, made by any third party due to or arising out of content you submit, post, transmit or otherwise make available through the service, your use of the service, your connection to the service, your violation of the tos, or your violation of any rights of another. You agree not to reproduce, duplicate, copy, sell, trade, resell or exploit for any commercial purposes, any portion of the service (including your Tickbox TV™ id), use of the service, or access to the service. You acknowledge that Tickbox TV™ may establish general practices and limits concerning use of the service, including without limitation the maximum number of days that content will be retained by the service, the maximum disk space that will be allotted on Tickbox TV™’s servers on your behalf, and the maximum number of times (and the maximum duration for which) you may access the service in a given period of time. You agree that Tickbox TV™ has no responsibility or liability for the deletion or failure to store any communications or other content maintained or transmitted by the service. You acknowledge that Tickbox TV™ reserves the right to log off accounts that are inactive for an extended period of time. Tickbox TV reserves the right to modify these general practices and limits from time to time without notice. Tickbox TV™ reserves the right at any time and from time to time to modify or discontinue, temporarily or permanently, the service (or any part thereof) with or without notice. You agree that Tickbox TV™ shall not be liable to you or to any third party for any modification, suspension or discontinuance of the service. Further, you agree that all terminations for cause shall be made in Tickbox TV™’s sole discretion and that Tickbox TV™ shall not be liable to you or any third party for any termination of your account or access to the service. Your correspondence or business dealings with, or participation in promotions of, advertisers found on or through the service, including payment and delivery of related goods or services, and any other terms, conditions, warranties or representations associated with such dealings, are solely between you and such advertiser. You agree that Tickbox TV™ shall not be responsible or liable for any loss or damage of any sort incurred as the result of any possible business dealings with or as the result of the presence of any possible advertisers on the service. The service may provide, or third parties may provide, links to other world wide web sites or resources. Because Tickbox TV™ has no control over such sites and resources, you acknowledge and agree that Tickbox TV™ is not responsible for the availability of such external sites or resources, and does not endorse and is not responsible or liable for any content, advertising, products or other materials on or available from such sites or resources. You further acknowledge and agree that Tickbox TV™ shall not be responsible or liable, directly or indirectly, for any damage or loss caused or alleged to be caused by or in connection with use of or reliance on any such content, goods or services available on or through any such site or resource. You acknowledge and agree that the service and any necessary software used in connection with the service (“software”) contain proprietary and confidential information that is protected by applicable intellectual property and other laws. You further acknowledge and agree that content contained in sponsor advertisements or information presented to you through the service or by advertisers is protected by copyrights, trademarks, service marks, patents or other proprietary rights and laws. Except as expressly permitted by applicable law or authorized by Tickbox TV™ or advertisers, you agree not to modify, rent, lease, loan, sell, distribute or create derivative works based on the service or the software, in whole or in part. You agree not to access the service by any means other than through the interface that is provided by Tickbox TV™ for use in accessing the service. a. Your use of the service is at your sole risk. The service is provided on an “as is” and “as available” basis. Tickbox TV™ and its subsidiaries, affiliates, officers, employees, agents, partners and licensors expressly disclaim all warranties of any kind, whether express or implied, including, but not limited to the implied warranties of merchantability, fitness for a particular purpose and non-infringement. b. Tickbox TV™ and its subsidiaries, affiliates, officers, employees, agents, partners and licensors make no warranty that (i) the service will meet your requirements; (ii) the service will be uninterrupted, timely, secure or error-free; (iii) the results that may be obtained from the use of the service will be accurate or reliable; (iv) the quality of any products, services, information or other material purchased or obtained by you through the service will meet your expectations; and (v) any errors in the software will be corrected. You expressly understand and agree that Tickbox TV™ and its parents, subsidiaries, affiliates, officers, employees, agents, partners and licensors shall not be liable to you for any direct, indirect, incidental, special, consequential or exemplary damages, including, but not limited to, damages for loss of profits, goodwill, use, data or other intangible losses (even if Tickbox TV™ has been advised of the possibility of such damages), resulting from: (i) the use or the inability to use the service; (ii) the cost of procurement of substitute goods and services resulting from any goods, data, information or services purchased or obtained or messages received or transactions entered into through or from the service; (iii) unauthorized access to or alteration of your transmissions or data; (iv) statements or conduct of any third party on the service; or (v) any other matter relating to the service. Tickbox TV™ may provide you with notices, including those regarding changes to the tos, including by but not limited to email, regular mail, sms, mms, text message, postings on the service, or other reasonable means now known or hereinafter developed. The Tickbox TV™ mark, Tickbox TV™ logo, and other Tickbox TV™ logos and product and service names are trademarks of Tickbox TV™ inc. (the “Tickbox TV marks”). Without Tickbox TV™’s prior permission, you agree not to display or use in any manner the Tickbox TV™ marks. 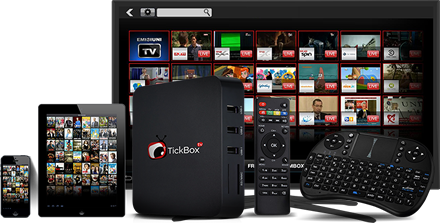 The use of the Tickbox TV™ service is solely for your personal and non-commercial use. All content on the Tickbox TV™ website, including, but not limited to, movies, TV shows, other streaming content, logos and graphics, images, film clips, software, and photos, are the property of Tickbox TV™ or its licensors and are protected by united states and international copyright, trade secret or other intellectual property laws and treaties. Under no circumstances should any of this content be reproduced or used without express written permission from Tickbox TV™ or its licensors. If Tickbox TV™ believes that you have violated Tickbox TV™ restrictions against copying Tickbox TV™ content, or believes that you have participated in other unauthorized copying or use of our proprietary content in violation of the copyrights of tickbox TV™ and its licensors, Tickbox TV™ may terminate your membership, in its sole and absolute discretion. Tickbox TV™ does not encourage, support, condone, or sanction any activity of an infringement nature, including, but not limited to the copying of movies and TV shows. Entire agreement . The tos constitutes the entire agreement between you and Tickbox TV™ and governs your use of the service, superseding any prior agreements between you and Tickbox TV™ with respect to the service. You also may be subject to additional terms and conditions that may apply when you use or purchase certain other Tickbox TV™ services, affiliate services, third-party content or third-party software. Choice of law and forum. The tos and the relationship between you and Tickbox TV™ shall be governed by the laws of the state of georgia without regard to its conflict of law provisions. You and Tickbox TV™ agree to submit to the personal and exclusive jurisdiction of the courts located within fulton county, georgia. 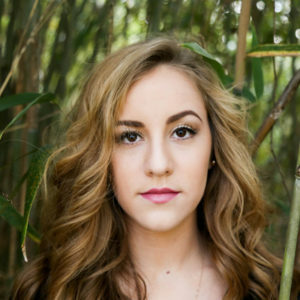 Waiver and severability of terms. The failure of Tickbox TV™ to exercise or enforce any right or provision of the tos shall not constitute a waiver of such right or provision. If any provision of the tos is found by a court of competent jurisdiction to be invalid, the parties nevertheless agree that the court should endeavor to give effect to the parties’ intentions as reflected in the provision, and the other provisions of the tos remain in full force and effect. No right of survivorship and non-transferability. You agree that your Tickbox TV™ account is non-transferable and any rights to your Tickbox TV™ id or contents within your account terminate upon your death. Upon receipt of a copy of a death certificate, your account may be terminated and all contents therein permanently deleted. statute of limitations. You agree that regardless of any statute or law to the contrary, any claim or cause of action arising out of or related to use of the service or the tos must be filed within one (1) year after such claim or cause of action arose or be forever barred. The section titles in the tos are for convenience only and have no legal or contractual effect. Please report any violations of the tos to admin@thetickboxtvreview.com. We offer an easy return process so don’t worry, if you don’t enjoy the Tickbox TV™, you can send us an email at admin@thetickboxtvreview.com and return it for a refund. We will send you the instructions on how to send it back. *100% money back guarantee applies only upon return of an undamaged Tickbox TV™ device within 30 days of shipping and must include all components. Please also include a copy of the receipt. Consumer responsible for return shipping. It is important to note that Tickbox TV does not come “pre-loaded” with any third party apps, channels, movies or content what so ever. The reason for this is because Tickbox TV simply cannot analyse, test or find out whether the thousands of third party apps within the kodi or xbmc platform are authorised to retrieve the media they find on the world wide web, it’s simply not possible. It is not Tickbox TV’s responsibility, nor in Tickbox TV’s control, to know whether the media that a third party app found on the public domain is authorised for viewing. We are not affiliated with such services or apps. That’s why we don’t pre-install them onto our devices. Instead, users are able to download and install (at their own discretion) third party apps into the third party kodi app for android, through a third party “wizard installer”.